Scammers break the Kindle Store. If you are an author and have books in Kindle Unlimited, you’ll want to read this. Just wanted to mention that I’ve updated the covers of my Blue Light Series in order to give the series a more uniform look. Same stories, different covers. Hope you like them. For those who have been waiting for Song of Ariel, book 3 of the Blue Light Series, the complete novel is now available at Amazon. Thank you all for your patience. I do hope you enjoy. I am now working on the fourth book in the series, which will be followed by a fifth. For those who have been waiting for the complete novel, in a few days it will be going to the editor. Not sure yet of the release date, but hopefully it won’t take too long. Also, in writing Song of Ariel I realized that the story and its title begged for a song. As some of you may already know, years before I began writing novels, I was a musician/singer/songwriter. I’ve never stopped being a musician. Making music has and always will be an integral part of my life. A few years ago, I wrote a song entitled Down through the Ages. I never recorded the song, but it has always been a fan favorite in my live performances. I did not realize until more than halfway through writing Song of Ariel that the song had subliminally inspired the novel. When the moment of realization hit me, it was like a bolt of lightning. I knew then how the novel would proceed and ultimately conclude. I have decided to record Down through the Ages. I haven’t decided if it will be a full blown production or if it will just be me singing with a simple acoustic guitar accompaniment. Time issues may make the decision for me. In any event I would like to try something that, as far as I know, has never been done before. I would like to include a digital download of Down through the Ages (Ariel’s Song) with every purchase of the novel. I’m not sure how this would work logistically. I’ve sent Amazon a query describing what I’d like to do, and asked them if this was even possible. If they can’t work it out as part of the same package then I will offer the tune as a separate digital download through sites like I-Tunes. So anyway, that’s where we stand as of now. Thank you so much, dear reader, for your continued support and eternal patience, for you are the force that keeps me on the path. Episode 7 of Song of Ariel is now live on Amazon. I want to thank all the readers who have gone along with me on this journey. You guys are very cool. 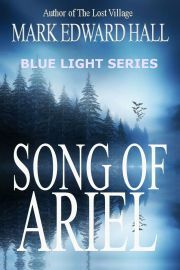 For those who don’t know, Song of Ariel is the third book in the Blue Light Series. Apocalypse Island is #1 and Soul Thief is #2. I decided to release Song of Ariel as a serial novel, writing each episode on the fly in much the same way the old serial movies and TV shows were done. Because it was written this way, I originally wanted to release each episode free. Amazon, however, does not allow anything priced under .99 cents. Bummer! I know this is an expensive way to read a novel, but as soon as it’s finished it will be released as a single volume at a sane price. Thanks again, dear readers. You rock! And by the way, this is the new cover art which will be used on the final volume. July, 2015 A couple of things I want to talk about today. First: Episode 5 of SONG OF ARIEL Just a short note to let everyone know that the fifth installment of Song of Ariel (Chapters 13-17) Episode 5, is now up on Amazon. Just click on the link or the book cover for more information. I want to thank those who have downloaded the first four installments. Publishing a book this way was sort of an experiment for me. But I have to say, so far it has been received rather well, and I’m thrilled. Let me explain how this all came about. When I set out to write Apocalypse Island I did not have even the slightest notion that there would be a sequel. I thought it would be a tidy little stand-alone novel that would begin and end with the stories of Danny Wolf, Laura Higgins and Rick Jennings, and that would be that. That’s not the way it turned out. Somewhere along the way this strange entity known as the Blue Light intruded into my consciousness and made its way onto the pages of Apocalypse Island. By the end of that novel I knew that the Blue Light would have to continue in one form or another, one way or another. I wasn’t sure how then, but I knew that it was so. You see, I liked the blue light. But even more, I felt a strange attachment to it, as if it had a life of its own that had somehow escaped the imagination of its creator and found its way into his heart. Sometimes that happens, and I don’t have an explanation for why. 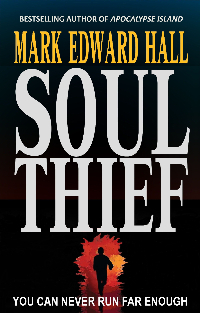 By the time Apocalypse Island was published I was more than halfway through another novel entitled Soul Thief, which up until then was also destined to be a stand-alone novel. But something happened with Apocalypse Island that I didn’t expect. It became a best seller. A minor bestseller when you compare it to the likes of King or Patterson, but a bestseller nevertheless. And the one thing fans of Apocalypse Island kept coming back to was the Blue Light. I got a lot of mail from fans, as well as a ton of reviews, and the thing they talked about most was the Blue Light, What is it? Where did it come from? Where is it going? Please don’t hurt it. Please don’t kill it. I’m addicted to the Blue Light. I think I’ve fallen in love with it. Seriously? Seriously. Even one bestselling author made that claim. Somehow, I had unwittingly created an entity, not a human being, but an entity, without form or substance that readers have become attached to. Go figure. Well, that next novel, Soul Thief, pretty much wrote itself from then on. The two books became the beginning of Blue Light Series with ideas for at least two more novels. Once Soul Thief was published I began to see the same sorts of comments from readers I’d seen with Apocalypse Island. “Loved the Blue Light.” “Can’t wait to see the next one in the series.” “Want to know what happens to the Blue Light.” Will Doug and Annie and Ariel be all right. Will they survive? I want to know what happens to them and the Blue Light. Will the characters from the two previous novels come together in the third?” You get the picture. And that brings me back to the original reason for this post. The third novel in the series will not be complete for another few months, so, in an attempt to appease those who want more now, I’ve decided to release it as a series of .99 shorts, a chapter or a section at a time, depending on how it all fits together. Some releases will be shorter and some will be longer. Of course all of my books are always free to those who are members of Kindle Unlimited. Thanks for your patience, dear reader. I’ll see you on the other side of the Blue Light. 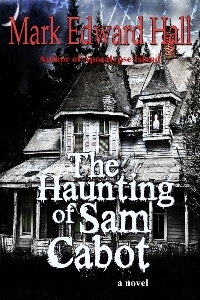 The all new extended version of The Haunting of Sam Cabot is now available in paperback. Of course it is also available as an ebook as well as an audio book. I recently got the rights back to The Haunting of Sam Cabot from my publisher. Hurray! The original version of the book was a 98 page novella. In the preceding months I extended the novella into a full blown novel of just over 200 pages. The basic story did not change. I added more depth to the characters and had fun with some of the scenes and situations. Now on to the product description. There are places that hold evil, houses so vile, so tainted, that people refuse to live in them. Farnham House is one of those places. Once an inn, this majestic old New England manor house is back on the market, and the price is very reasonable. Sam Cabot is a man tired of moving. Now he wants nothing more than to live a quiet life in the country with his wife and young son. Little does he know that he will soon begin a long, slow descent into madness and that he will spend his summer living with dead things. 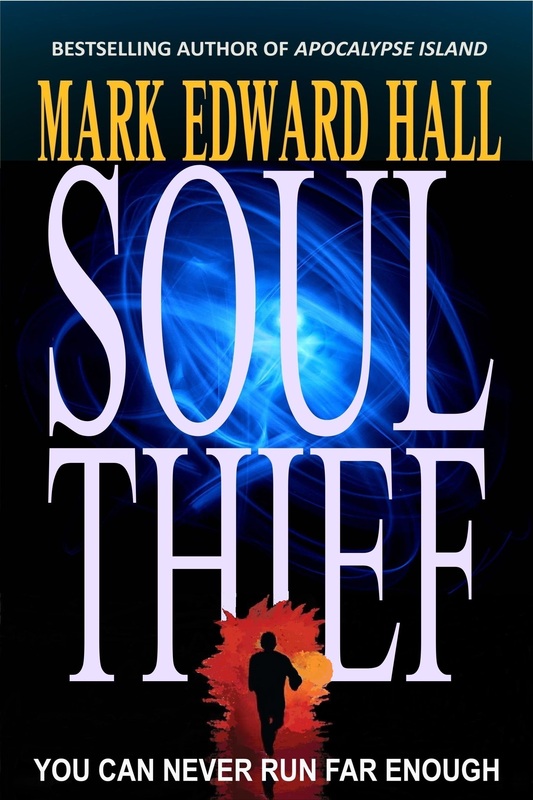 SOUL THIEF (The second book in the BLUE LIGHT SERIES ) That’s one of the great things about being an independent writer. If the cover art isn’t working change it. If the book description isn’t working, change it. Try to get a legacy publisher on board for such changes. I’ve tried and it’s almost impossible. Trust me. Considering the great success of Apocalypse Island, I was surprised that Soul Thief (which I believe is every bit as good as Apocalypse Island) wasn’t selling as well. I changed the cover art about a month ago and I’ve seen a dramatic uptick in sales. Again thank you dear reader. 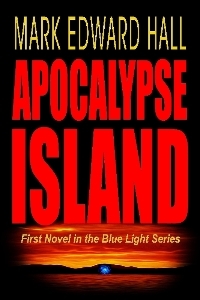 The digital version of Apocalypse Island (the first novel in the Blue Light Series) has had more than 200,000 downloads on Amazon. com. This number does not include all those Kindle Unlimited and Amazon Prime members who downloaded it as part of their subscription memberships. Thank you so much for the tremendous support. A couple of things I want to talk about today. Just a short note to let everyone know that the fourth installment of Song of Ariel (Chapters 9-12) is now up on Amazon. Just click on the link or the book cover if you’re interested in checking it out. I want to thank those who have downloaded the first three installments. Publishing a book this way was sort of an experiment for me. But I have to say, so far it has been received rather well, and I’m thrilled. Let me explain how this all came about. When I set out to write Apocalypse Island I did not have even the slightest notion that there would be a sequel. I thought it would be a tidy little stand-alone novel that would begin and end with the stories of Danny Wolf, Laura Higgins and Rick Jennings, and that would be that. That’s not the way it turned out. Somewhere along the way this strange entity known as the Blue Light intruded into my consciousness and made its way onto the pages of Apocalypse Island. By the end of that novel I knew that the Blue Light would have to continue in one form or another, one way or another. I wasn’t sure how then, but I knew that it was so. You see, I liked the blue light. But even more, I felt a strange attachment to it, as if it had a life of its own that had somehow escaped the imagination of its creator and found its way into his heart. Sometimes that happens, and I don’t have an explanation for why. By the time Apocalypse Island was published I was more than halfway through another novel entitled Soul Thief, which up until then was also destined to be a stand-alone novel. But something happened with Apocalypse Island that I didn’t expect. It became a best seller. A minor bestseller when you compare it to the likes of King or Patterson, but a bestseller nevertheless. And the one thing fans of Apocalypse Island kept coming back to was the Blue Light. I got a lot of mail from fans, as well as a ton of reviews, and the thing they talked about most was the Blue Light, What is it? Where did it come from? Where is it going? Please don’t hurt it. Please don’t kill it. I’m addicted to the Blue Light. I think I’ve fallen in love with it. Even one bestselling author made that claim. Somehow, I had unwittingly created an entity, not a human being, but an entity, without form or substance that readers have become attached to. Well, that next novel, Soul Thief, pretty much wrote itself from then on. The two books became the beginning of Blue light Series with ideas for at least two more novels. And that brings me back to the original reason for this post. The third novel in the series will not be complete for another few months, so, in an attempt to appease those who want more now, I’ve decided to release it as a series of .99 shorts, a chapter or a section at a time, depending on how it all fits together. Some releases will be shorter and some will be longer. Of course all of my books are always free to those who are members of Kindle Unlimited. Thanks for your patients, dear reader. I’ll see you on the other side of the Blue Light. One of the reasons the third novel in the Blue Light Series is late is because I spent the better part of the summer extending my novella, The Haunting of Sam Cabot, into a novel. 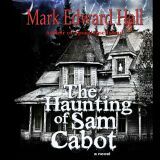 I recently got the rights back to The Haunting of Sam Cabot from my publisher. Hurray! The original version of the book was a 98 page novella. In the preceding months I extended the novella into a full blown novel of just over 200 pages. The basic story did not change. I added more depth to the characters and had fun with some of the scenes and situations. Amazon tells me that in order to keep the existing reviews in place the extended version needs to be linked to the original paperback version, which in turn shows a much lower page count on the new extended version, which is not correct. If this seems confusing to you then you can imagine how confused I feel. Alas, it is Amazon’s way of doing things. The upshot of this whole thing is, the page count you see on the product page is incorrect. 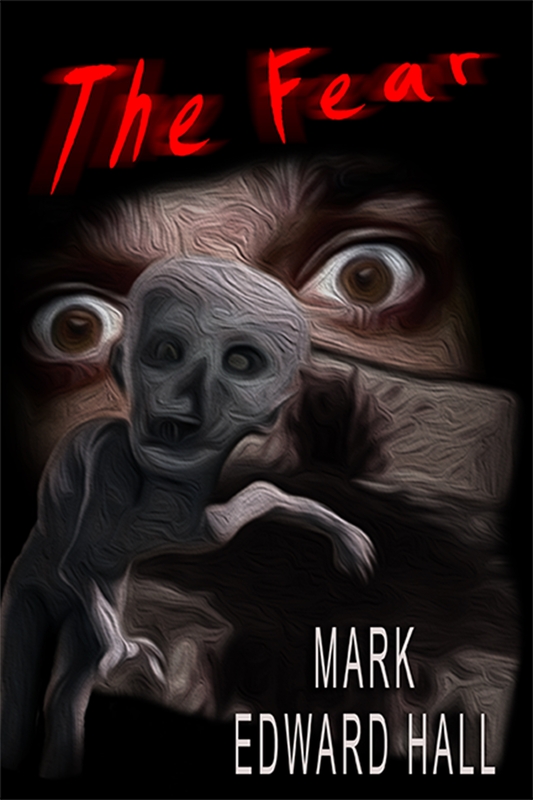 If you decide to spend your hard-earned 3.99 for the kindle version of the new, updated version of The Haunting of Sam Cabot, rest assured that you will be receiving a novel, not a novella. Now on to the product description. There are places that hold evil, houses so vile, so tainted, that people refuse to live in them. Farnham House is one of those places. Once an inn, this majestic old New England manor house is back on the market, and the price is very reasonable. Sam Cabot is a man tired of moving. Now he wants nothing more than to live a quiet life in the country with his wife and young son. Little does he know that he will soon begin a long, slow descent into madness and that he will spend his summer living with dead things. That’s one of the great things about being an independent writer. If the cover art isn’t working change it. If the book description isn’t working, change it. Try to get a legacy publisher on board for such changes. I’ve tried and it’s almost impossible. Trust me. Considering the great success of Apocalypse Island, I was surprised that Soul Thief (which I believe is every bit as good as Apocalypse Island) wasn’t selling as well. I changed the cover art about a month ago and I’ve seen a dramatic uptick in sales. Again thank you dear reader. 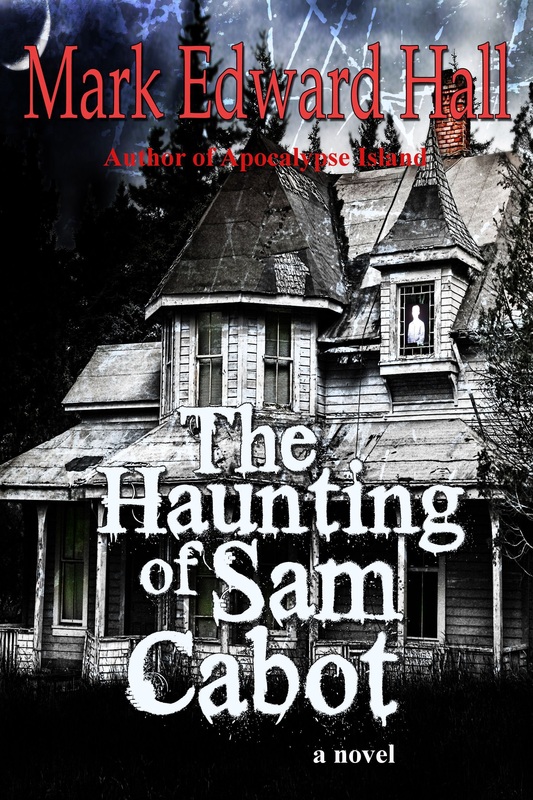 The Haunting of Sam Cabot is now an audio book from ACX. I’m very happy with how it came out, narrated by the talented Dan Shapiro. I have twenty free audio copies to give away. I’ll send a code to the first twenty who drop me an email. Go to audible.com and enter the code for your free download. I would love to hear what you think, so once you listen I’d appreciat a short blurb. Doesn’t have to be an in-depth review, although that would be fine if you feel especially prolific. Just a short note would suffice. Don’t forget to let me know if you would like a free copy. Not only is Apocalypse Island (the first novel in the Blue Light Series) an Amazon bestseller, it now has more than four hundred reader reviews on Amazon, two hundred and twenty of which are five star. I have only you to thank, dear reader. 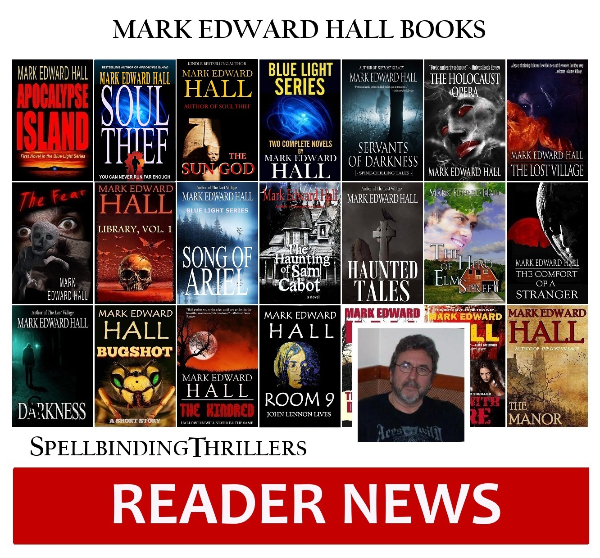 Copyright © 2014 Mark Edward Hall Books, All rights reserved. 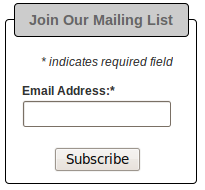 You are receiving this newsletter for one of a number of reasons: Either you are a friend, or because you visited my website or you opted in from the link in the back of one of my books. I promise your email will never be shared with anyone ever.